I spent the afternoon in Bombay Hook observing the snow geese coming into the marsh until the light was so low I could not shoot anymore. 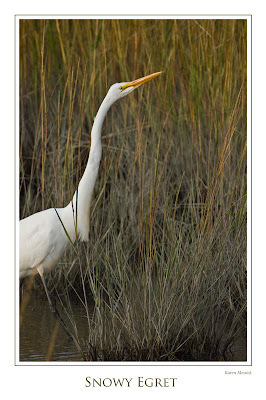 They are flocking into the salt marsh minute by minute. 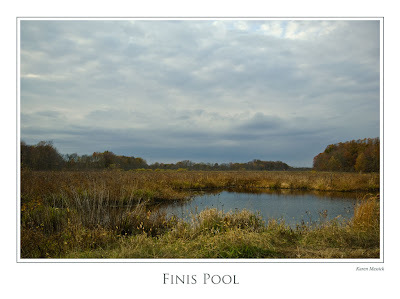 The amount of rain has filled the marshes and the pools are filled with ducks and migrating waterfowl. 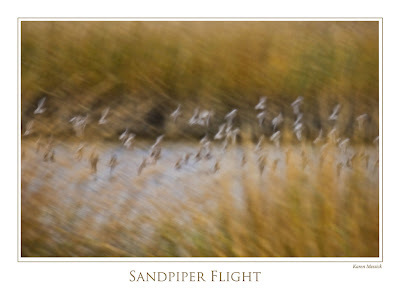 However today I decided that bird photography is the toughest there is, I think anyway. First, you really have to have a big lens and that means big bucks....I mean a big fast lens, at least a 6oomm 2.8, unless you are in a floating blind, and the ducks are floating around you. 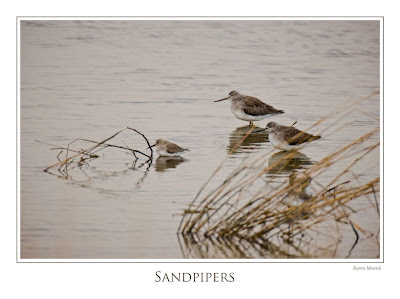 In addition, when the birds are closest to shore, is when the light is getting low, so you need a camera with high quality, high ISO capability to gain high shutter speeds. I make do with the gear I have but need a better camera with a newer sensor. I have the now, old, Nikon D2X which in my book never had high quality ISO images, and I use my 300mm 2.8 coupled with a 2x tele-extender that gives me an effective focal length of 900mm 5.6, but the depth of field is shallow in order to get a high shutter speed and it won't autofocus with the tele-extender on it and my eye sight is not great when trying to focus on such distant subjects manually.....but I work with it because it's what I have and it is so rewarding to watch the migration of the birds, not to mention the exquisite colors of the fall marsh and the fresh air. 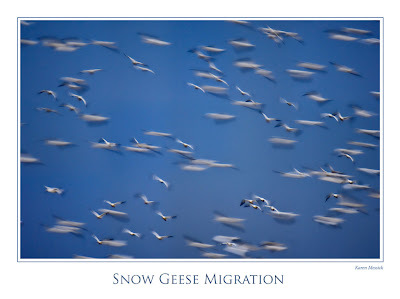 If you have never witnessed the snow geese migration, make sure you get it on the bucket list! The sound is amazing and the beauty of the birds in flight, filling the autumn sky in cool weather is awesome. 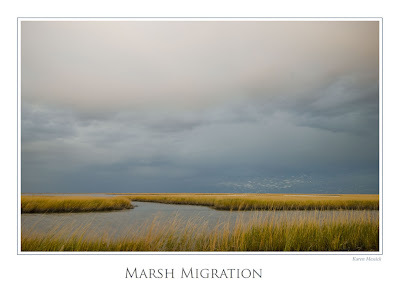 These shots only begin to give you an idea of the abundance of the marsh in fall. 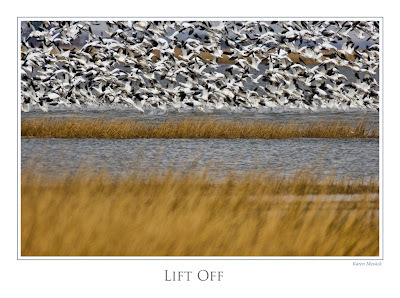 I am going to Prime Hook tomorrow and hope to find some snow geese there as well.